With UFC Liverpool less than two months away, here's a quick look back in time at some of the MMA pioneers from the area. Earlier in the week, I wrote a piece that sent a hat tip in the direction of Cage Warriors, and many of the fighters from Liverpool on their current roster, acknowledging their contributions for bringing the UFC to Liverpool for the first time on May 27 – HERE. Whilst I stand by what I wrote and believe the success of those shows played a key role showing the UFC that Liverpool was viable market for bigger events, I didn’t cover off another important piece of the puzzle, and that’s the fighters who pioneered the development of the sport in the area by achieving success on the world stage. As you’ll see below, a lot of the fighters that came from Team Kaobon under head coach Colin Heron in the early-2000s pioneered the presence of local fighters competing on the biggest stage of all in the UFC. You know someone has left a big mark on the sport when you receive questions on a weekly basis from people all around the world about them. How is Terry Etim doing? Do you ever speak to Terry Etim? Have you heard anything about Terry Etim at all? Unfortunately, I’ve never spoken to Terry Etim, but if I could grab one interview this year his name would be the first I write on my list. A product of the UK domestic scene, Etim debuted in the UFC in 2007 at UFC 70 against Matt Grice. The Team Kaobon man went on to win via first round submission and that was the beginning of a near six year long career fighting in the organization. Etim won five bonuses and fought some of the biggest names in the sport such as Rafael dos Anjos, Sam Stout and Edson Barboza. UFC President Dana White was said to be a massive fan of Etim’s and no wonder given the amount of times he fought under the UFC banner on European soil and always put on a great show. Etim is said to be doing well following an accident early last year. Expect to see him in the corner of his teammate Darren Till come May 27. Taylor is a rare breed in the fact that the retired coming off a win in the UFC. 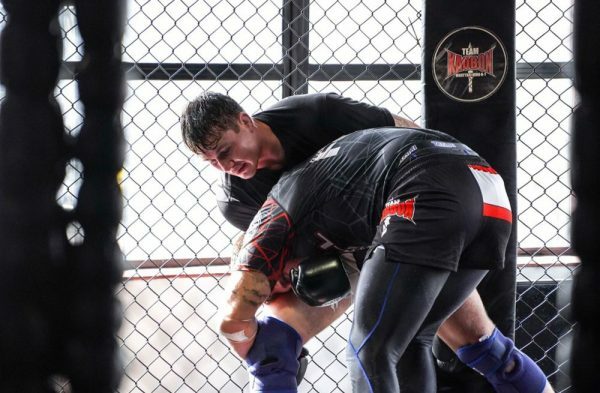 Now 38-years-old, Taylor made his MMA debut back in the legendary Cage Rage promotion in 2002. From there, Taylor built up a record of 7-1-1 and according to an interview he did back in 2008, he sent in a DVD of his fights to the UFC and was immediately signed (See HERE). He then proceeded to compete in the UFC for four years with a 4-5 record and competing all over the world in likes of Cologne, California and Las Vegas. Whilst it may not have been the biggest deal at the time, Taylor defeated Peter Sobotta back at UFC 99 in 2009. Sobotta, of course, only a few weeks ago competed at UFC London where he pushed Leon Edwards to limits here in 2018. Taylor unfortunately announced his retirement in 2013, but he left his mark on the sport and with no fewer than three UFC ‘Fight of the Night’ bonuses. Another product of Team Kaobon, Sass built up a record of 10-0 on the UK scene before being signed to the UFC in 2010. At UFC 120, Sass made his debut against Mark Holst and just like his teammate Etim, he went on to win via first round submission and pick up a bonus check for his troubles. Sass then went on to defeat Michael Johnson and Jacob Volkmann before seeing his UFC tenure end in 2013 after a loss to Danny Castillo. Regardless, not many fighters can say they fought in the UFC for three years and picked up a bonus after a fight in Las Vegas. No doubt there will likely be a story to tell on how that bonus got spent that night in Sin City. Kelly has a controversial recent history, but if you look back at his MMA career it deserves a lot of respect. Originally fighting out of the Wolfslair MMA Academy, Kelly built up a record of 7-0 on the domestic scene before getting the call up to the UFC in January 2008. 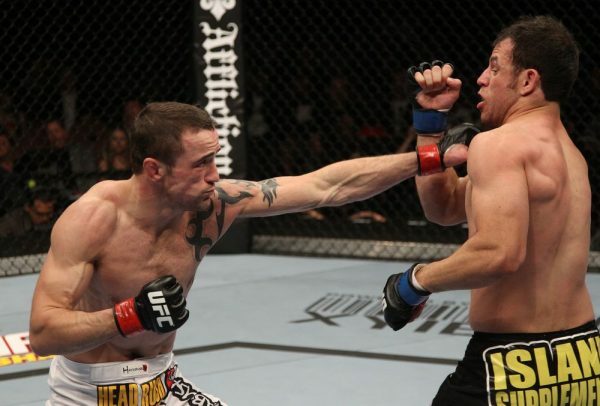 Kelly then made the move to Team Kaobon ahead of his fight with Denis Siver at UFC 105 in 2009 and went on to pick up wins over Matt Veach and TJ O’Brien before facing Donal Cerrone in 2012. Cerrone went on to win the bout via second round submission, but Kelly picked up ‘Fight of the Night’ bonus money for his efforts. Scanlon may have only had one fight in the UFC, but like so many of his teammates he walked away with a ‘Fight of the Night’ bonus for efforts. The Team Kaobon man was called up on short notice to fight German fighter Pascal Krauss in his own backyard in Oberhausen, Germany at UFC 122. Scanlon went on to lose the fight and was then slated to face James Head at UFC 138 before he withdrew from the bout in September 2011. The Englishman never returned to the Octagon, but he can at least claim to have done what very few choose to do in he modern era and that’s step up to fight a man on just four weeks notice in the UFC. The last man of the lot to compete under the UFC banner. 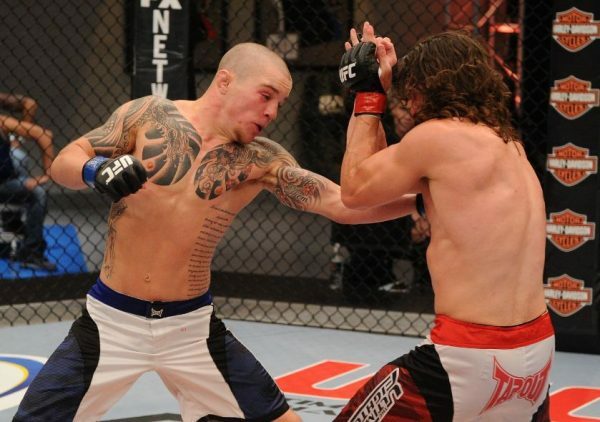 Ogle was a part of the infamous TUF: Live series and made it all the way through to the semi-finals before being eliminated by Al Iaquinta. Despite his loss in the series, Ogle and the rest of the cast were given UFC contracts and he went on to compete a further six times in the organization in no fewer than four different countries. 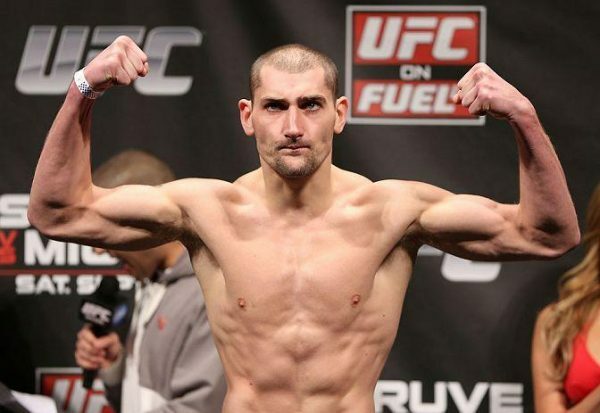 interestingly, Ogle was booked to fight Conor McGregor in August 2013, but was replaced by Max Holloway after suffering an injury. Ogle hasn’t fought since 2015, but he was another man flying the flag in the late 2000s and early 2010s. So there you have it. As I said at the start of the piece, I stand by everything I wrote about earlier in the week in regards to the Cage Warriors showing that big scale MMA events can be held in the area. On reflection, I concede the phrase ‘laid the foundations’ was misused and I do acknowledge the fact that the fighters mentioned above (and likely more who I’ve missed!) played a big part in raising the profile of the sport in the area and getting us to where we are today. So with that said, history is history and now it’s all about the present and the future. Darren Till, Mike Grundy, Tom Aspinall, Paddy Pimblett, Molly McCann, Chris Fishgold, Lee Chadwick, Danny Roberts, Dean Garnett, Aaron Robinson, Gavin Hughes (who fights for EFC gold today!) … and so many more. As the man himself says, “May 27 is going to be historic,” and I for one cannot wait to see what happens.